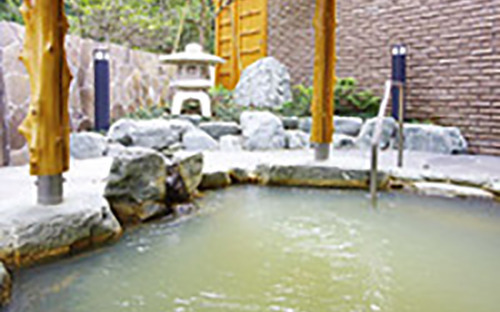 DISCOVER TAJIMA >Hot Springs	>Fureai Onsen "Ojiron"
Enjoy the open-air outdoor bath, reclining bath, large bath, massage waterfall bath and sauna for a relaxing natural hot spring experience. After enjoying the baths relax even more in the lounge or get a foot massage. Don’t forget to visit the restaurant and try some authentic handmade soba.